Stivers Ford Lincoln Near Des Moines Can Find Your Used Car For Sale Today! Are you hunting for the right pre-owned car but unsure where to purchase it in Waukee or Des Moines? Then you will be happy to learn our absolutely free used vehicle locator service can help you find the pre-owned automobile that raises your interest. The most amazing aspect of taking part in the top used automobile locator program near Des Moines? By letting us take care of your pre-owned vehicle search, you will not just get the car you desire, but you likewise will eliminate all of the issues that arise when with working with other, less trustworthy dealerships in the Waukee and Des Moines area. After spending a couple seconds reflecting on how significant this process is to ensuring your regular drive is always a piece of cake, how could you ever opt for anything less than the industry-leading devotion to exceptional assistance and service for used vehicle shoppers provided here at Stivers Ford Lincoln? If you are ready to hear even more about how our pre-owned vehicle locator service gets results, go ahead and spend a few minutes with the group of automotive experts at Stivers Ford Lincoln as we go over the specific details that help make up this service. Once we have done this, we are certain you will be the owner of all the information you need to arrive at a smart and savvy choice when it comes to your automotive prospects. Getting off on the right foot with this dialogue revolves around presenting you with a little insight into how we search up the pre-owned vehicle that works for you. To start, Stivers Ford Lincoln needs a couple of pieces of information from you to garner a little more knowledge about the car that matches your interests. Thankfully, our painless and clear-cut form, made available to you on this page, is able to convey this information directly into the possession of our used vehicle specialists. Once we have this insight at our fingertips, we will get to work immediately on utilizing our automotive industry resources to bring to you the precise used car that piques your interest. From this perspective, why should you ever have to spend hours rummaging around in the daily newspaper or fighting with misleading pop-ups and other aggressive ads on slimy pre-owned digital sites for one more second? 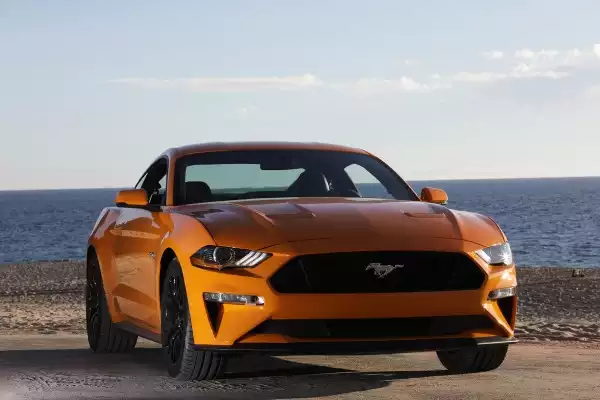 Digging even deeper, the group of experts found here at Stivers Ford Lincoln make it a point to go beyond for our valued clients in Waukee and Des Moines via whatever means necessary. To validate this bold declaration, you can always rely upon our pre-owned car locator service being offered at no cost to you. Regardless of the fact that other dealers might try to charge you an excessive price as part of helping you in the search for the ideal used automobile, we feel that helping out on this front is essential to an outstanding dealership environment. Feel Free to Do a Little Research Before You Pay a Visit to Stivers Ford Lincoln – Despite the knowledge that spur-of-the-moment shopping is unquestionably an enjoyable aspect of the search for the right used automobile, try not to be wooed by only the first response you have to a car that captures your eye. A little exploration into the automobile's reliability, interior creature comforts, and other criterion than can influence your habits will give you the knowledge required to figure out if this vehicle is truly your best choice. Sit down and Have a Conversation with Family and Friends – Making use of the guidance of others certainly goes far when shopping for a pre-owned automobile. By sitting down and chatting with trusted close friends and loved ones, you could possibly find a completely different viewpoint on your used car search – and reveal a view or thought process that modifies how you work through this process. Embrace Your illustrative Side – As you fill out the following used automobile locator application, try to be as descriptive as possible. The more details you submit to the Stivers Ford Lincoln team, the more likely it is our pre-owned vehicle specialists will come across the ideal used vehicle for you in a timely and efficient fashion. Do Not Hesitate to Confer with Stivers Ford Lincoln's Crew of Pre-Owned Consultants – If anything changes during this process, please tell us! We are always here to support you, so give us a heads up if you need to update the search for your next used car, truck, or SUV. 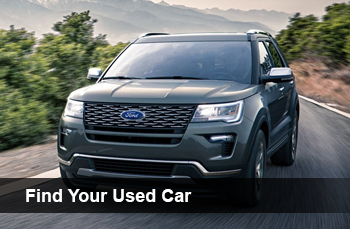 With these tips leading the way, we have no doubts the pre-owned vehicle that fits into your daily drive (be it a Ford Certified Pre-Owned or a vehicle from another automaker) will be part of your life in no time. Now that we have come this far, there is most likely only one concern left on your mind: "What needs to get done so that I can start searching for the right pre-owned automobile for me?" Luckily, beginning this process is as effortless as filling out a quick form or picking up your phone and making a short phone call to Stivers Ford Lincoln. All you have to do is simply fill out the form we have provided here when you are not busy (remember to be as descriptive as possible! ), and we will do the rest. If you want to sit down for a more comprehensive chat, feel free to give Stivers Ford Lincoln a call at 800-747-2744 or stop by when you are near us; you will never need a scheduled visit, because Stivers Ford Lincoln is always willing to offer up its services to our good friends in Waukee and Des Moines.